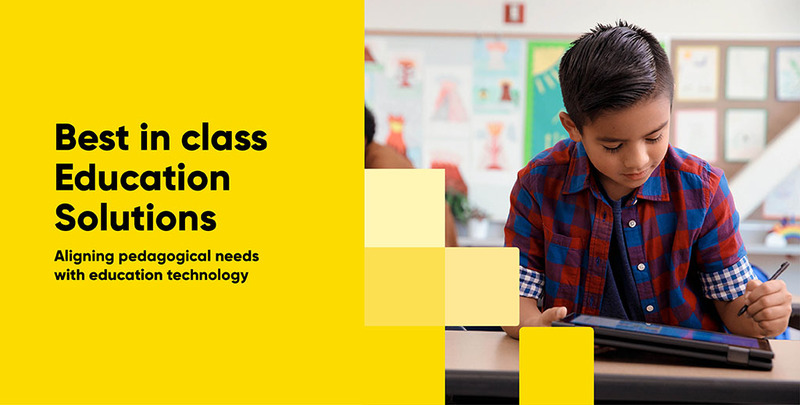 JB Hi-Fi Education Solutions provides professional advice, trusted products and tailored solutions to help schools achieve the best possible outcome for their ICT programs. Our experienced team collaborates with schools to address challenges and aspirations for introducing 21st century learning in the classroom. Solutions utilise new, innovative technologies to reflect curriculum and pedagogical objectives in a way that engages and inspires school communities. Partnering with world renowned brands we provide schools with devices that have been specifically designed for education. Our secure purchasing portal features a broad range of products, from computing equipment to white goods, enabling your staff to browse and make purchases at their convenience. Our brand positioning and buying power means we can save on your procurement costs by offering highly competitive prices. Support and recommendations are available when required. Our team of technical experts also offers a comprehensive suite of services to assist with the management of your ICT infrastructure. Speak to us today to design a solution that works for your school.